Santrauka: Tim Madden, an unsuccessful writer with a penchant for nicotine, alcohol and blondes with money, struggles towards consciousness twenty-four days and nights after his wide has left him. He has a bad case of alcohol amnesia, a fresh and throbbing tattoo and a car drenched in blood. Just to make his hangover complete, Provincetown's Chief of Police would like a quiet word... So begins Madden's disquieting journey into the dark recesses of America's psyche. 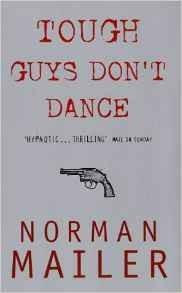 TOUGH GUYS DON'T DANCE is Norman Mailer at his tough, raw and uncompromising best. And Madden's tormented efforts to reconstruct the missing hours of a terrible evening turn, inevitably into fragments of the American Nightmare. Komentaras: minkšti viršeliai, 256 psl.